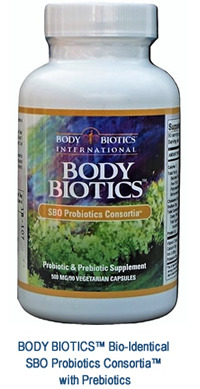 BODY BIOTICS INTERNATIONAL (formerly Life Science Products, Inc.) has been providing customers from around the world with “safe and effective” daily essential supplements critical to quality of health and long term wellness, since incorporating in the State of Utah in 1995. Upon securing the exclusive worldwide rights to our flagship product, BODY BIOTICS™ Bio-Identical SBO Probiotics Consortia, we first began marketing products “people to people” through an MLM (network marketing) business model and did so for ten years. In 2005, the company was acquired by its former top sales person and current President, Kelli de Sante`. It has been under Ms. de Sante’s guidance that the company slowly moved away from a network marketing model to its current “direct to consumer” position with a strong emphasis on partnering with the medical/alternative marketplace and online business professionals. A customer herself since 1995, Ms. de Sante’ has always held the belief that this dynamic formula was so effective and unique in its composition that it deserved and needed the professional community to understand and help communicate the wide range health benefits that such a product offers. Since 2005, BODY BIOTICS INTERNATIONAL has grown from being a 100% “direct to consumer” based company to now having a 52% medical/alternative marketing partners. We believe that establishing a network of knowledgeable medical/alternative professionals, as well as, online business partners plays an essential role in serving our consumers lifelong needs. 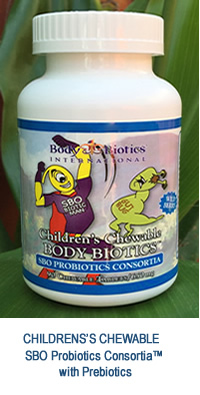 Our flagship product, Body Biotics™ Bio-Identical SBO Probiotics Consortia, offers professionals the most sophisticated SBO (Soil Based Organism) Probiotics Consortia known, worldwide. This formula has seen a number of incarnations in the form of brand name changes (from Earth Flora, to Natur Zyme, to Natur Earth, to Nature’s Biotics, and finally our current brand name, Body Biotics™) over the last 37 years. 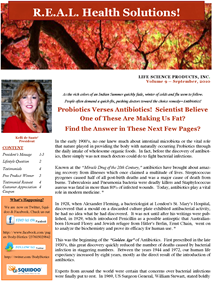 Through all of this time, one thing has remained constant—this dynamic formula has weathered the test of time and still reigns as the most effective Bio-Identical SBO Probiotics Consortia of its kind. We are steadfast in our commitment to both, our consumers and professionals. We are especially proud of our network of medical and alternative professionals who have the same commitment to excellence in the care of their patients, as we have in providing them with products on which they can trust and depend. We hope you will join us!